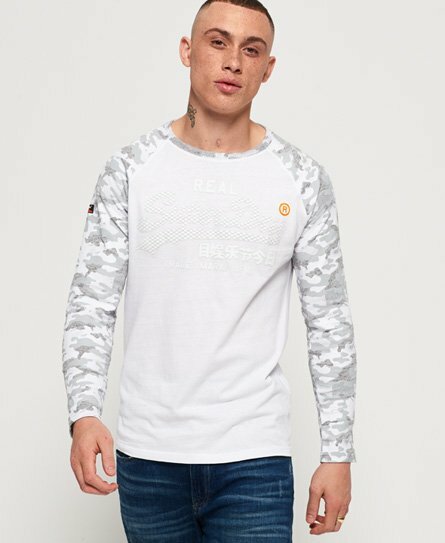 Superdry men’s vintage logo monochrome long sleeve t-shirt. Part of the timeless monochrome trend, this tee features a crew neckline, camo inspired sleeve design and a textured Superdry logo across the chest. Complete the outfit with a pair black jeans, offering a simple yet effective look.